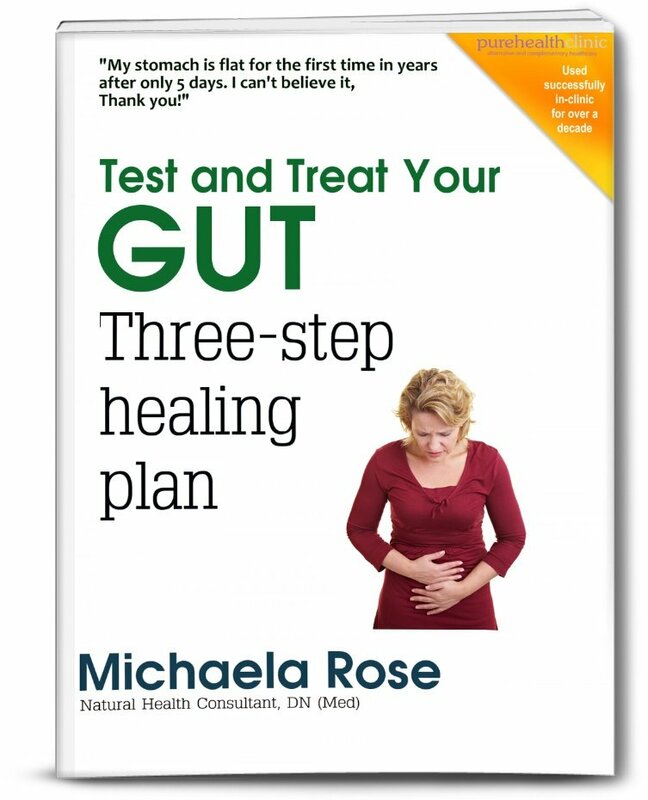 This 66 page Gut Plan is based on over a decade of clinical practice dealing with all manner of gut issues. This is what I find works for the vast majority of people with wind, bloating, IBS, acid reflux, indigestion, erratic, mushy, frequent stools and constipation. It's also useful for those who suspect food intolerance and want somewhere to start, and for those wanting an effective bowel and liver detox. We used it basically as a foundation step for most patients, whatever they came in with, as a kind of body MOT. It sorts most things out, trust me. We could then see the wood for trees with anything left and treat accordingly. I rarely saw anyone not improve on it. Includes info on correct testing procedures, the 3-step product-specific healing plan, the top eight other issues to look at and what to do after the plan to maintain good health. Lots of additional stuff including diet menus ideas and tips, establishing food intolerances, basal temperature and stomach acid testing and much more. The Gut Plan is the result of everything I've learned over the years. You need to remove the major irritants and allergens. I have yet to find a person who did not get at least some relief by removing wheat and dairy, for example, if only for a holiday to calm the gut down. That's what this Plan gives you. Identify and sort out any stomach acid, pancreatic enzyme and malabsorption problems. Rule in or out coeliac disease and gluten sensitivity. Remove the most common allergens, wheat and dairy, from your diet to help calm the gut, give it a chance to heal and identify any intolerance to them. Identify any other food intolerances by elimination and challenge and/or the correct testing methods. Complete an effective herbal bowel cleanse, a biochemical liver detox and re-balancing of bowel flora. See if stress is a factor, and start steps to reduce it if it is. Learn how to massage your abdomen. Get all the resources, tests and supplements you need to achieve it. In essence, the Gut Plan takes usually 6-12 weeks to complete although most people feel a difference from a couple of days, or certainly weeks, in. The Detox Box Protocol is a product-specific programme I have used in-clinic for years and it rarely lets me down. You don't normally get any detox issues with it because of the specific phase 2 liver support included. There is a gentle programme and a full programme so you can progress at your own speed if you need to. Everyone starts with the gentle one as a two week lead-in. I wish you loads of luck, flat stomachs, no acid and normal bowel movements! !